Dr Rachel Elphinston is a Clinical Psychologist and Senior Research Fellow at Recover Injury Research Centre at The University of Queensland. Her research interests focus on the psychological risk factors for pain and disability following injury and comorbid substance misuse. She has designed and implemented research projects examining factors associated with perceived injustice following road traffic crashes, psychosocial factors associated with prescription opioid use in individuals with chronic pain, and the effectiveness of QuikFix, a brief psychological risk-targeted telehealth intervention for young people with alcohol or other drug-related injury or illness. 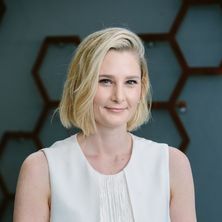 Dr Elphinston has a current appointment with Addiction and Mental Health Services in Metro South Health and has experience in working in multidisciplinary clinical and research teams to translate research into practice and design and implement new models of care. She also has experience in delivering education and training to a wide range of health professionals and supervising undergraduate and postgraduate students. An attachment perspective on romantic jealousy: examining person and situational determinants and their interactive effects.